Only being able to find a few spare hours in the evening to write this report is testament to the fact that the Algarve Autumn property rush is most definitely in full swing. With property listings to take on, potential buyers from all over Europe to tour and the excitement that comes with having numerous agreed deals to complete, it is a particularly busy time of year. As we approach the end of the year, it is around about November time that most long established Algarve based real estate agents can start to get a clearer picture and give an accurate assessment of just how successful the year has been with regard to property sales. As has always been the case when purchasing Algarvian property, our foreign investors tend to make their purchase decisions based on the economical and political situation within their own countries. However once in a while certain events can create a ripple that makes everyone sit up and take notice. 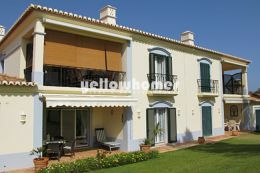 The major defining factor for the Algarve property market this year was unquestionably Brexit. Uncertainty in the outcome of the result meant that the British were generally much quieter in the first 6 months of the year than the previous year. Once Brexit was confirmed we did actually start to see greater numbers of British looking to buy again. However, as sterling continued to weaken against the Euro, understandably the quantity of British looking to buy reduced a little. Those that are looking to invest are less interested in the political repercussions of Brexit but are more interested in the currency situation. It is important to say at this point that many of our British vendors are in a very strong position as the weakening of sterling has worked hugely in their favour. As a result since June we have brokered a number of deals with British vendors happy to accept a lower Euro price for their property. As in previous years, our other buyers predominately from France, Germany, Switzerland, Holland, Belgium, and Scandinavia have been making property purchases all throughout the year. Although the quantity of sales going through to completion is slightly down compared to the same period last year and even taking into account those British vendors accepting lower Euro prices, we have seen that the average values of property purchased is up on last year. A question we always like to ask our prospective buyers is “Why the Algarve and why now?” It can give us a real insight into how people view the market and the Algarve as a destination. Of course there are the usual answers about the welcoming nature of the locals, the fantastic weather, the never ending beaches, the championship golf courses, high achieving schools, easy flight connections etc, but specifically in comparison to their home countries we are hearing more and more about the Algarve offering a feeling of security, peace of mind as well as financial benefits such as favourable tax breaks, etc. Due to the well documented issues in other countries in Europe and further afield, the Algarve is being seen not just as another holiday location but more and more as a place to escape to. Almost permanently bathed in sunshine and unassumingly nestled in the corner of Europe, it is no surprise that the Algarve will continue to attract buyers from the rest of Europe. 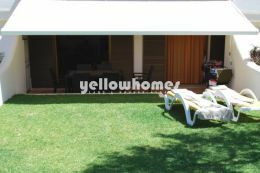 If, like many before you, you are considering purchasing a property here in the Algarve, then we urge you to browse our daily updated website at www.algarvepropertysearch.com. However if you would prefer to visit our office to discuss your property requirements in more detail, then please call us on 289 301 294 to arrange a meeting with a member of our team.